Profile Design's Legacy 2 Aerobar features split extensions, low armrest bridges and three width positions for maximum comfort and versatility. 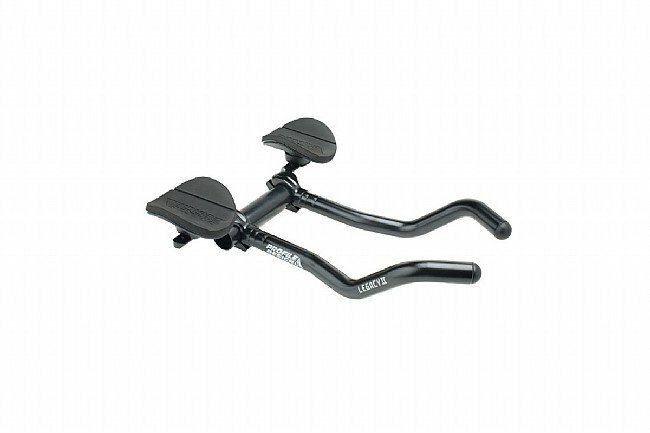 Improved ergonomics, added hand positions, and rotating arm rests make this a highly dynamic bar for time trialists and triathletes. Light yet durable aluminum construction. Anodized finish for added strength and durability. Matte black. Fits 26.0mm & 31.8mm bars. Claimed weight is 450 grams.